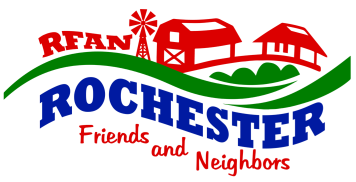 Since April 2014, Rochester Friends and Neighbors has distributed nearly $100,000 to families in the Rochester Community. Rochester Friends and Neighbors (RFAN) is a non-profit 501(c)3 organization. All donations are tax deductible and are used to provide community members experiencing traumatic events the financial support needed to help pay for medicine, food or transportation. Monetary donations to Rochester Friends and Neighbors can be made by personal check or PayPal, and Washington State employees can donate through the Washington State Combined Fund Drive. Please complete the "Contact Us" form to inquire about volunteer opportunities to serve the Rochester community through Rochester Friends and Neighbors (RFAN).